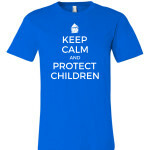 Wear the shirt, raise awareness, and protect children! 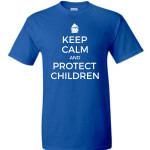 The Children’s Advocacy Center believes child abuse is a community problem. 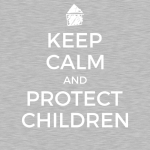 1 in 10 children will be sexually abused before their 18th birthday and years of experience has demonstrated that no single agency can possibly meet all the needs of sexually victimized children and their families. 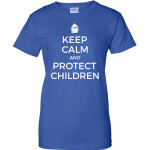 Prevention is possible! 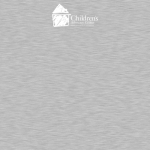 Through the month of April, we are partnering with local businesses, municipalities, and supporters to help shed light on child sexual abuse. 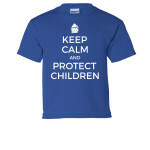 We are hoping that YOU will advocate for children and help us raise awareness by wearing your Keep Calm Protect Children t-shirt!